Amsterdam Centraal railway station is the largest and most grand railway station in Amsterdam. The train station is the central mode of transportation in the destination and 260,000 passengers travel every day from the railways in the region. From picturesque architecture to a truly grand setting the destination becomes a hot spot for photography. The architecture was designed by Pierre Cuypers a famed architect and opened in 1889. 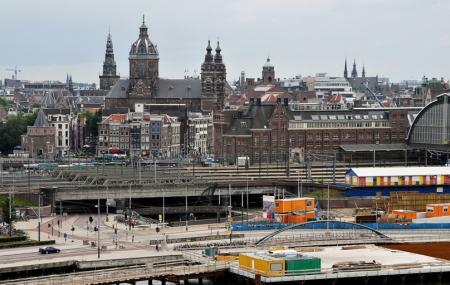 Take a train from Amsterdam Centraal Railway Station. How popular is Amsterdam Centraal Railway Station? People normally club together Verzetsmuseum and Jewish Cultural Quarter while planning their visit to Amsterdam Centraal Railway Station. Crazy and busy but very efficient.